When I tell people I've been living in Taiwan for four years, I'm usually greeted with strange looks and then comes the questions; Why have you been here/there so long? Don't you miss your family? How long are you planning to stay? Personally, I love living in Taiwan. The Boyfriend and I have great jobs which we love, I have amazing friends, and generally I just really enjoy my lifestyle here. Yes, of course I miss my family back in South Africa, but it's not possible for me to live the life I want to, and which I've grown accustomed to, over there. We are truly happy here, and are not planning on leaving any time soon. Anyone who's ever set foot in Taiwan will know what I'm talking about. You don't have to walk far before you hit a dentist's office, a doctor's office, a hairdresser or a 7/Eleven. (Which, by the way, they should have called "24/Seven", because it's open all the time!). Also, you can basically do everything at a 7/Eleven; buy food, drinks, makeup, magazines and all the other usual convenient store stuff. But you can also pay your bills, buy phone credit or Skype credit, do banking, buy concert tickets, pick up parcels and buy alcohol 24/7. Talking about convenience, in Taipei City there is no need to own a car. Buses, taxis and the MRT (Taipei's subway) can take you anywhere you need to go, and it's super affordable. In most countries, my experience is that society looks down on teachers. Not in Taiwan. Here it is a respected profession and when I tell a local person I'm a teacher, they admire me like I'm a heart surgeon. Not once in my four years here have I felt unsafe. (Not counting the creepster that followed me on his bike to my work one day. But I think he was just intrigued by the blonde foreinger...) Taipei City has 24/7 surveillance cameras all over the city, so I guess people are less likely to commit a crime. Also, owning a gun here is illegal, and drug smuggling is punishable by death. Even though I can't speak Mandarin, going to the bank, post office or the doctor is a pleasure. I've found there is always someone that's eager to help the foreigner. People know what they're doing in their jobs, and things just get done here. Taiwan is a great place to travel from, especially if you want to see as much of Asia as possible. Destinations like Hong Kong, China, Korea, Japan, Philippines and Thailand are only a hop, skip and jump from Taiwan. The culture in Taiwan never seizes to amaze and amuse me. It's just so different from my home country, South Africa. Also, people from all over the world come to Taiwan to teach English and to study Mandarin, so throw in all those cultures as well, and it makes for a very interesting combination. Most teachers in Taiwan can make a decent salary. And like I said, there's no need to have a car when you're living in Taipei, which means no car payments or petrol. Also, food is relatively cheap, healthcare services are a steal and you can get a nice apartment for a good price. Which means, there's lots of money left for recreational activities. There's really something for everyone here. Lots of movie theaters, shopping centers and restaurants for indoor entertainment. And then, for the outdoor enthusiasts, there are numerous options for weekend activities. Hiking in the mountains, going to the beach, visiting famous sites like Taroko Gorge, Sun Moon Lake, numerous hot springs and Kenting National Park. Last year the government launched a free wi-fi program in Taipei City. Which means that on many buses, at the airport, at bus stops and on some subway trains, you can go online for free. Yes, please! As you can see, it's a pretty awesome place to live. Why wouldn't I stay? You should definitely visit Asia when you get the chance, it's amazing! Been thinking about where to go after I'm finished with my contract in Paris, and holy crap Free wifi? I'm sold. 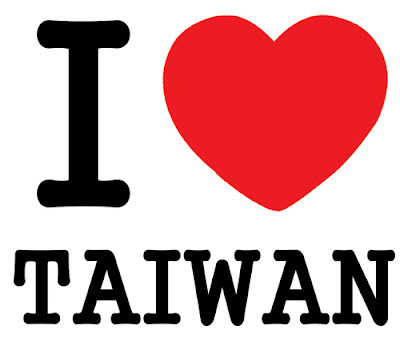 I agree with all your comments except that I think it is true of Taipei, not necessarily the rest of Taiwan. I lived in Taipei for 9 years and recently moved to the east coast. Oh how I miss the MRT and when it is hot I really miss all the underground malls.